Michele Oka Doner is an American born and internationally known artist. 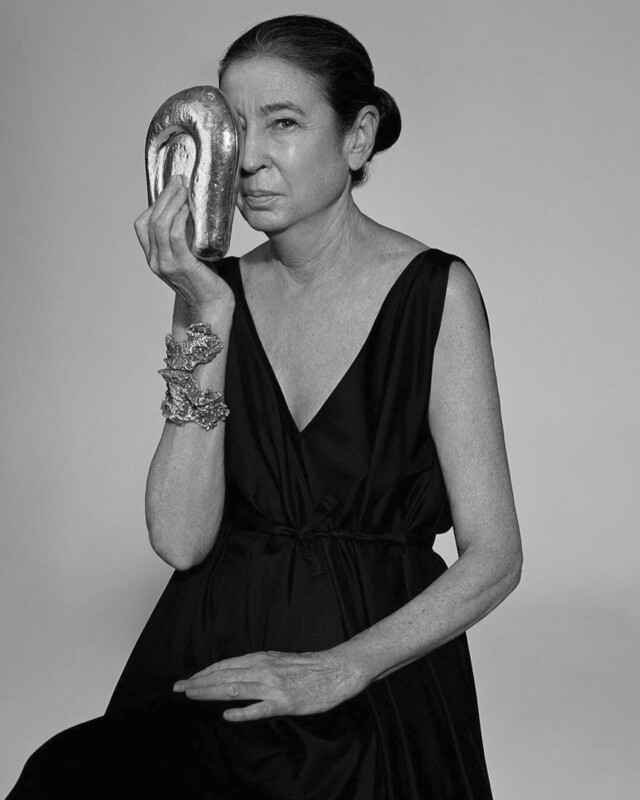 Her artistic production spans four decades and explores sculptures, design objects, jewellery, public art and video installations. Oka Doner’s formal vocabulary comes from a lifelong study and appreciation of the natural world. The natural theme is recurrent in her large scale architectural projects as much as in her small scale artworks. She is well known for creating public art installation throughout the United States, including A Walk on the Beach at the Miami International Airport (1995-2010), which features nine thousand unique bronze sculptures inlaid over a mile-and-a-quarter long concourse of terrazzo with mother-of-pearl, one of the largest public artworks in the world. Michele Oka Doner’s work can be found in the collections of The Metropolitan Museum of Art, the Whitney Museum of American Art, the Art Institute of Chicago, the Musée des Arts Décoratifs at the Louvre, the Victoria and Albert Museum in London, The Dallas Museum of Art, the Virginia Museum of Fine Arts, the St. Louis Art Museum, the Cooper-Hewitt National Design Museum, The University of Michigan Museum of Art and the Yale Art Gallery among others. 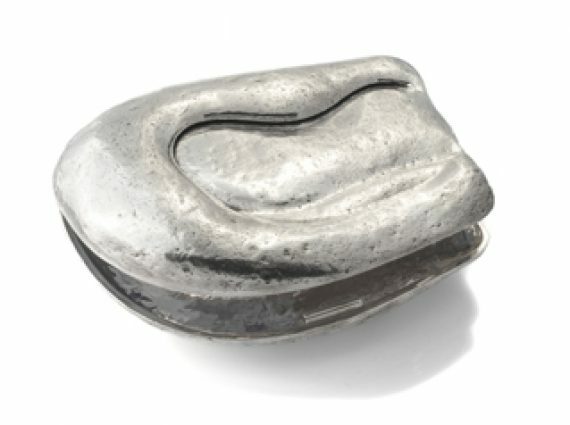 The Goddess Minaudiere is a beautiful clutch that is made in sterling silver. The shape is sensual and recalls nature in its purest essence.